Key Stage 2 teachers can now contact Farming and Countryside Education (FACE) to express their interest in taking part in a Chef on the Farm session. The sessions have been developed in conjunction with the Royal Academy of Culinary Arts Chefs (RACA) and offer pupils the chance to learn to cook with a chef on location at a local farm. The Chef on the Farm programme brings together FACE’s access to farmers and RACA Chefs Adopt a School Trust’s access to chefs to teach pupils the importance of local produce and healthy eating. 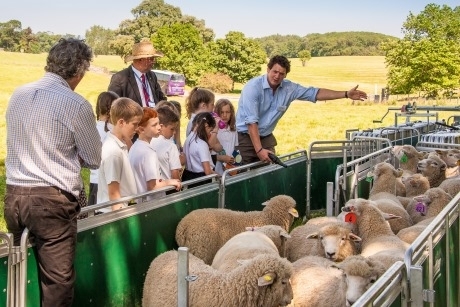 During their visit to a farm, children are split into two groups and each has the opportunity for a farm tour accompanied by a farmer and a member of the FACE team. After an hour, the groups swap places and work with a chef in preparing a meal. One group may be involved in the main course, whereas the other helps with the dessert. After a lunchtime spent enjoying the food, schools are then involved with further work on the farm, which may include exploring the biodiversity and taking part in environmental work. The farms taking part represent a range of food producers to include meat, vegetables, fruit and dairy, and must demonstrate care for the environment, encouraging biodiversity. FACE ensures that the farm has facilities to accommodate a class of Key Stage 2 children and an area for hygienic food preparation, whereas RACA Chefs Adopt a School Trust supply a professional chef who is trained to work in a classroom situation. Chef on the Farm sessions run seasonally and FACE regional coordinators put schools on touch with relevant farms. Teachers who wish to express an interest in attending a future session should contact enquiries@face-online.org.uk to be put in touch with a regional coordinator and added to a waiting list. For more information visit www.face-online.org.uk.